Going to do the “rounds”? There is no better place to eat than at Guachinche Más que Carne. Enjoy the tastiest meats and the best party atmosphere at our place Guachinche Más que Carne in La Laguna. Because there are not many things as enjoyable as a great sit down meal. You bring along the company and we will take care of the food. Try our delicious barbecued meats, specialities are chicken wings and thighs, but we also serve lamb and beef. It is all delicious! No typical Canarian restaurant or guachinche is complete without good wine, so sit back and enjoy our delightful Canarian wines. 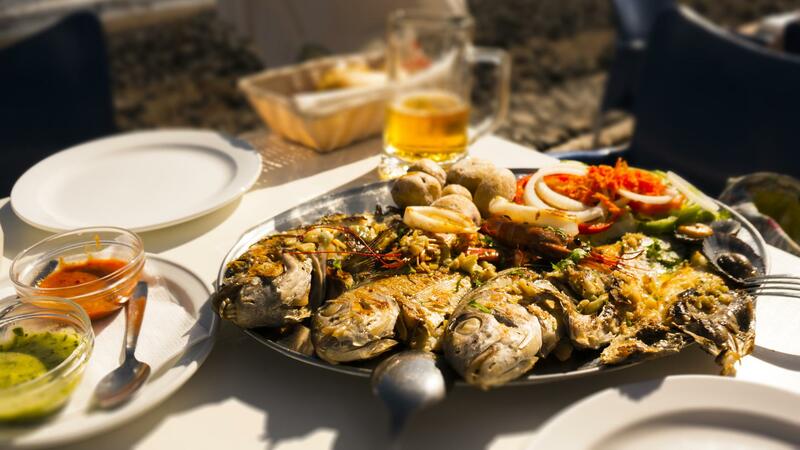 We are also experts in traditional Canarian food. “Ropa vieja” chickpea stew, escaldón with roasted grain flour and of course, cheese. Do not forget to try our delicious island cheese. Be sure to leave room for dessert because all ours are homemade and exquisite. Try our roasted gofio mousse, cheese curd or meringue. You will always be sure to find a great atmosphere and fantastic food here. At Guachinche Más que Carne we organise celebrations so there is always good music and dancing round the tables. Come and see us, eat, drink and make merry; we are waiting for you! At Guachinche + Que Carne, our speciality is traditional cuisine from our islands. We use only the finest quality products, prepared in the traditional way used by our ancestors the guanches. These products include cheese, black pudding, gofio escaldon and ropa vieja chick pea stew which are our most popular dishes. We are well known for the generosity of our servings but also for our incredible prices. All La Laguna is talking about us; do you need to wait to be told more?